TRAVEL CHANGES US IF WE LET IT. 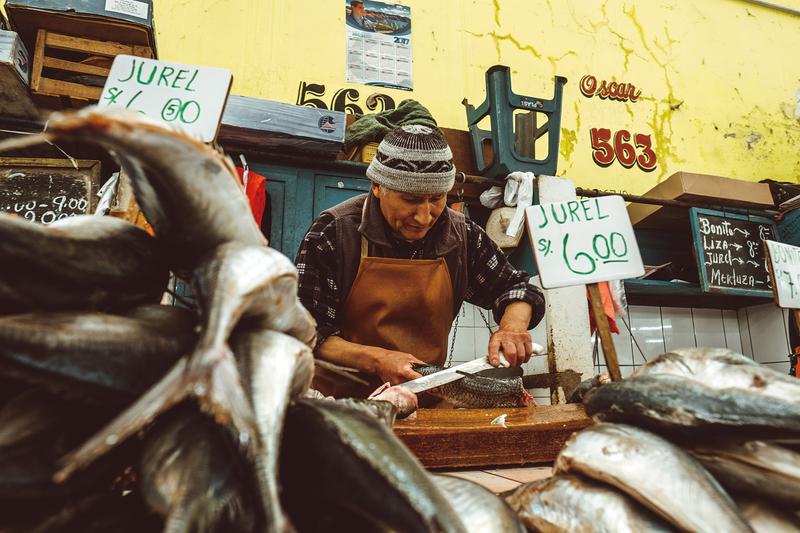 There is something different about Peru. On my third trip to this variegated country in as many years, it became clear. It is easy to say that the difference is in the water, that element having plagued several members of the group for days, or that it is in the air, clear and rarified along the spine of the Andes. Others may attribute the uniqueness to the earth, the sky punctuated by the towering stones of Machu Picchu or the mystery of the Nazca Lines. For me, it is fire. That burning from within each of us to explore the blank recesses of a land and culture. In Peru, I am walking among the ancients; I am driving into the clouds. I arrived in Lima, the international airport abuzz and chaotic, the way I prefer such adventures to begin. 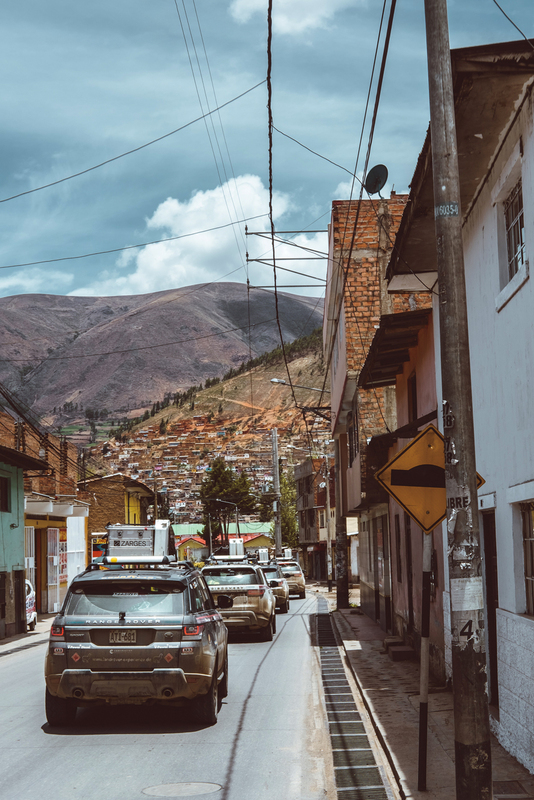 The next flight was to Cusco, an ancient city that once served as the capital of the Inca Empire, a World Heritage Site that rests at over 11,000 feet. 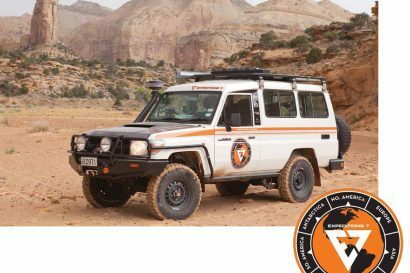 It would serve as our starting point for an adventure with Land Rover Experience, Germany, an organization that has kept the fire of the Camel Trophy alive with genuine exploration in remote and challenging environments. 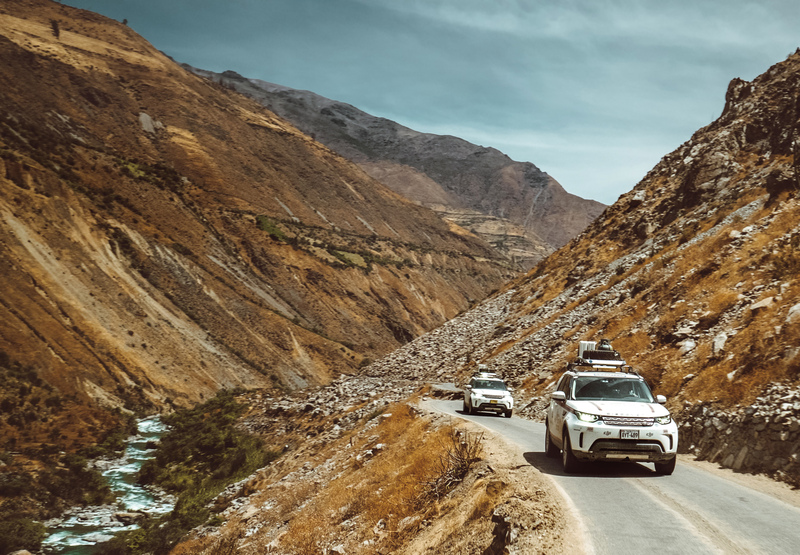 We would spend a few days among the ruins of Machu Picchu and then fly to the coast to where the Discovery 5s were staged. The vehicles would take us from the Pacific Ocean to the Amazon. 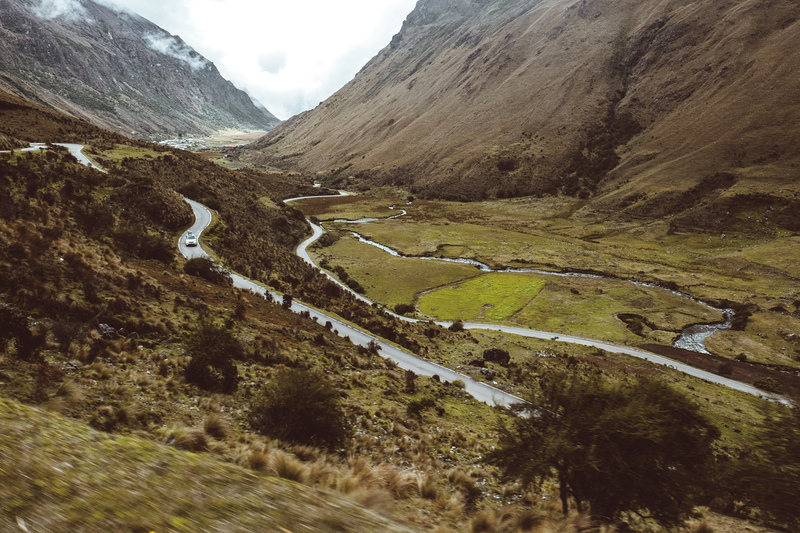 Peru is an immersion in contrasts. Our group left the thin air of the Urubamba Valley in the Andes, arriving in the arid coastal desert near Nazca. 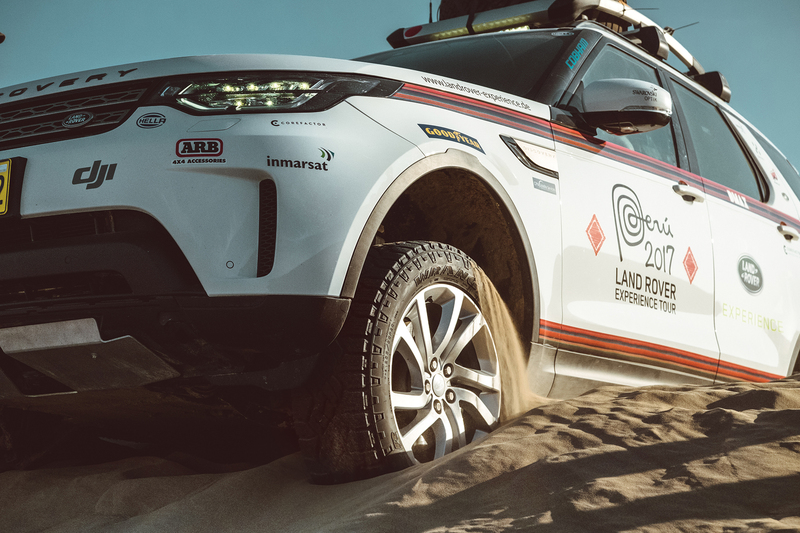 The Land Rovers were waiting, and the challenges would begin immediately with massive dunes standing between us and our route to Amazonia. 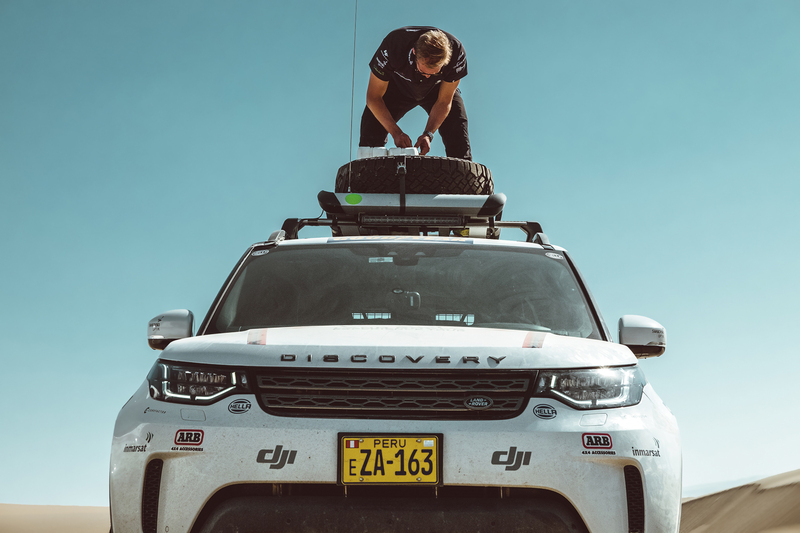 These Discovery 5s are a significant departure from my 1995 Discovery 1, but they soon proved willing and even competent as we traversed the massive erg. 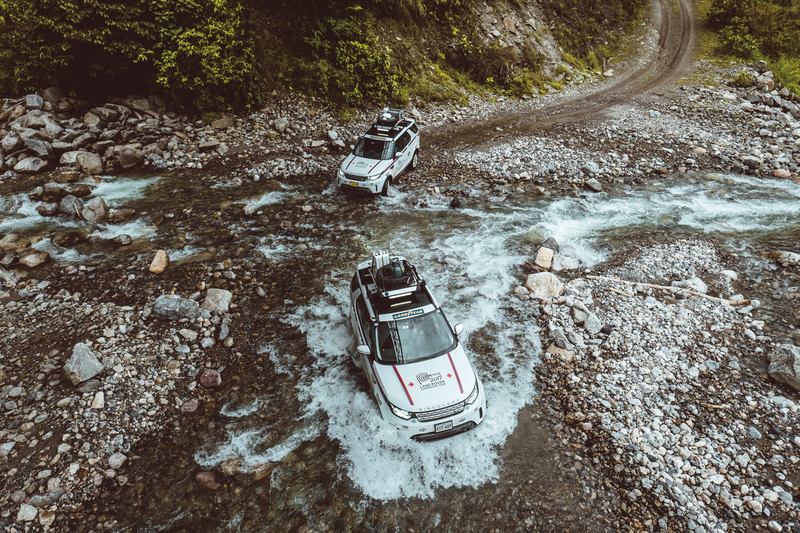 You learn to flow with the sand, driving with a fluidity, managing momentum and throttle to keep the heavy SUV moving, but not airborne. Spirits were high, even during the effort of shoveling or winching companions free from the silica. 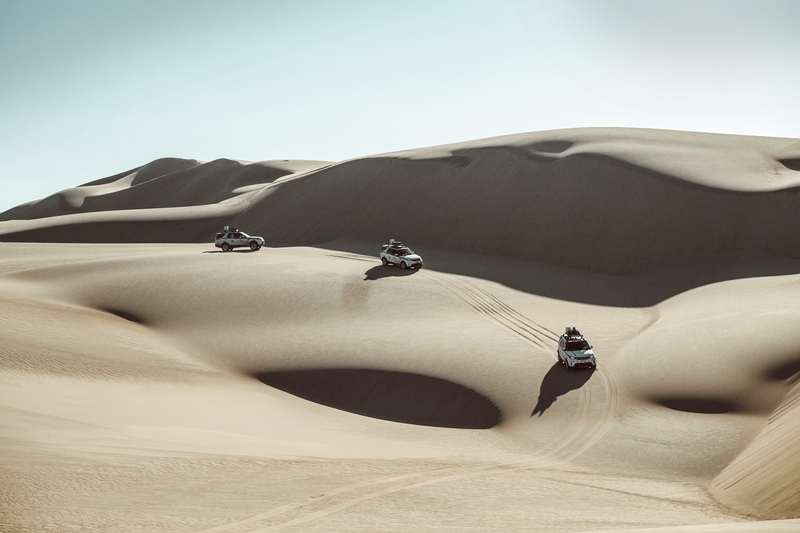 From the dunes, the convoy turned eastward, climbing into the Andes one glorious curve and switchback at a time. 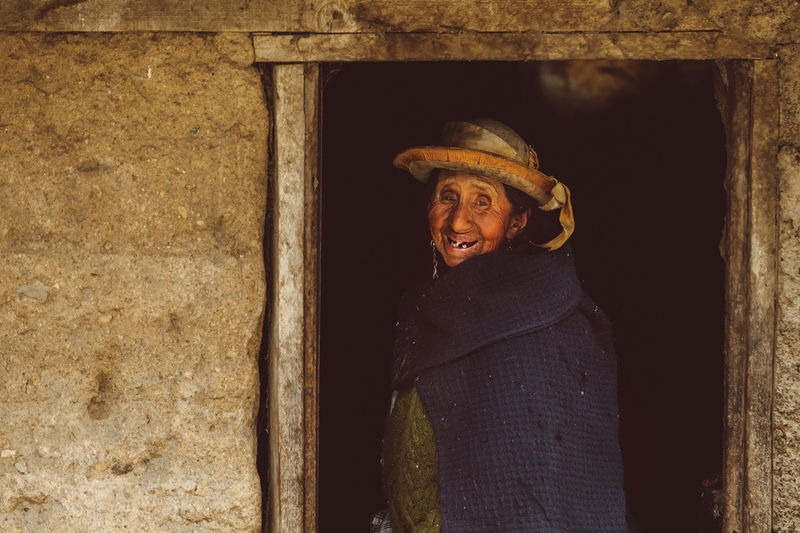 The roads were narrow, in poor repair, and chock full of locals in all variety of transport, but this is what overland travel is all about. We continued well above the tree line, the only visible inhabitants being herds of llama and alpaca and their tenders. From the tip of the Continental Divide, our route descended into the depths of the Peruvian Amazon, the flora growing more dense and verdant with each mile. This track led us to Satipo and the end of my driving adventure. But had this journey changed me? 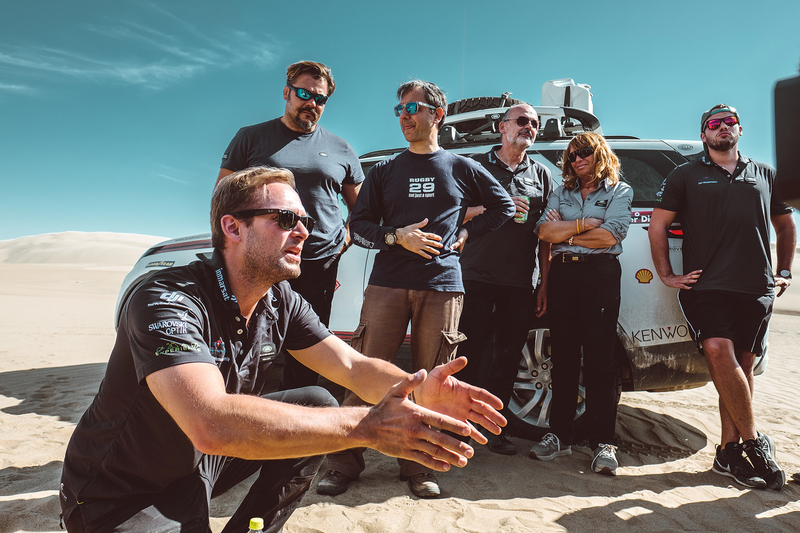 Certainly, in ways that will resonate over decades reminding me of the importance of change, the rewards of exploration, and the lessons in discovery. Landslides are a constant reminder of the impermanence of human endeavor in the Amazon. The jungle reclaims what is hers, and quickly. 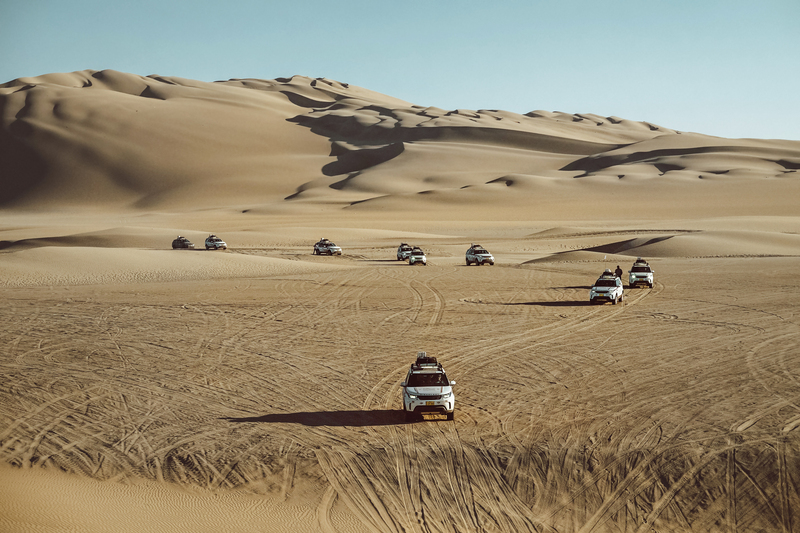 A Land Rover convoy elicits a sense of adventure—identical Discoveries dotting the dunescape, headlights ablaze, travelers in search of the next unknown. 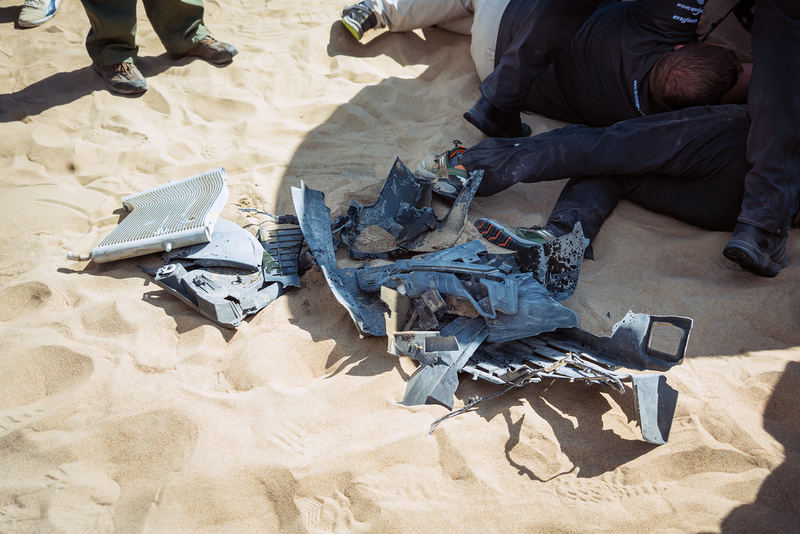 Driver error under the midday sun costs one of the vehicles dearly, an inexperienced driver misjudging the lip of a dune and impacting the base of the leeward slope. The upside was a look into the skill of the technicians and the ease in which even the newest 4WDs can be expediently field repaired. The team doctor loads a 20-liter NATO fuel can on the roof rack. 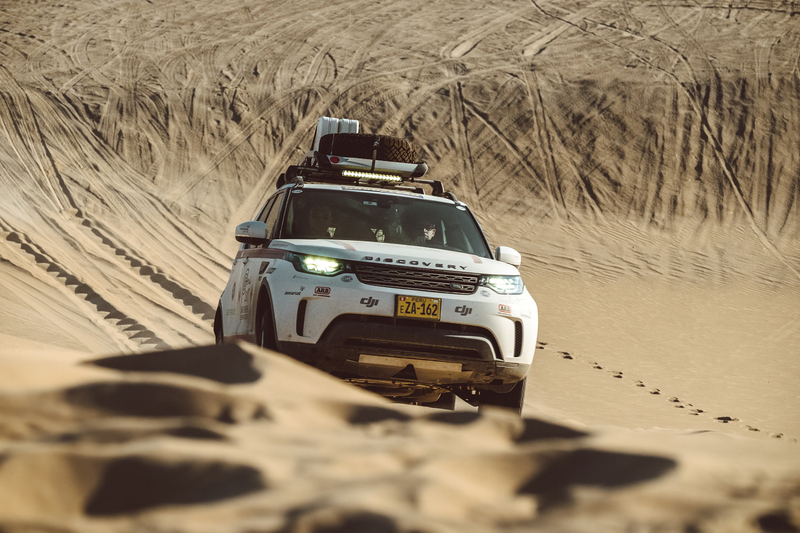 The vehicles were all stock, with only factory accessories mounted to the Discovery 5s. 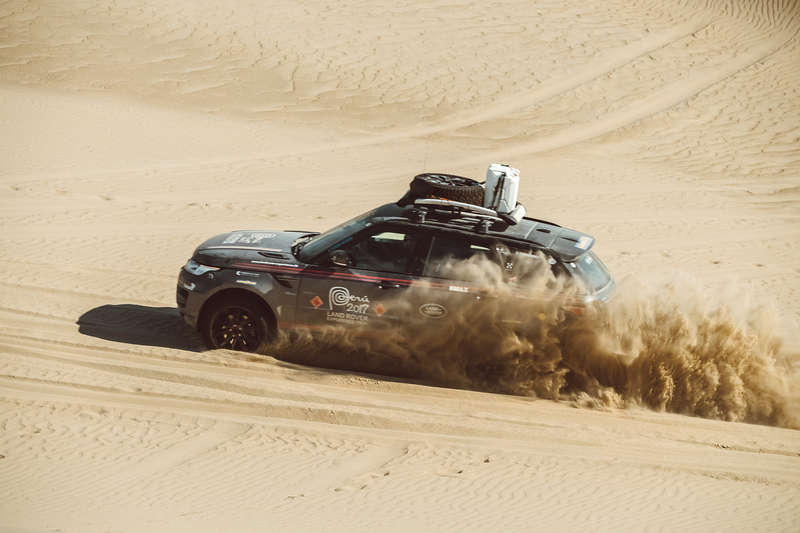 To cross a desert of sand, the driver must learn to manage a full range of inputs, from the most sensitive rheostat of braking to subtleties of acceleration. These challenging conditions quickly expose those who can execute on these nuances and those who cannot. The latter becomes most familiar with spinning tires and the handle of a shovel. Hundreds of kilometers of sand dunes stood between our team and the passage north, the climbs becoming progressively more difficult as the erg became more variegated in form and flow. We were chasing the light, each slip face and windward slope casting a concert of shadows, curved and cautionary shapes revealing the deceptive course. Plumes of silica exploded under the Range Rover, the driver gaining speed before a challenging grade. 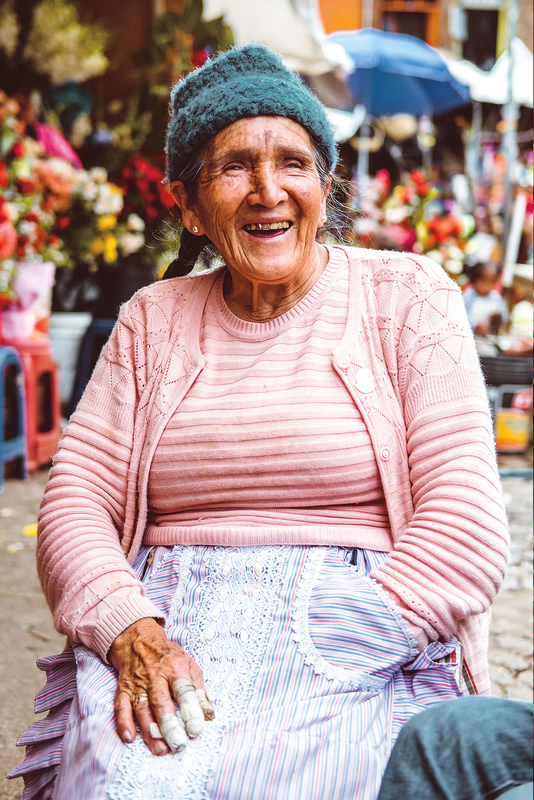 Peru is alive, vibrant, and welcoming—the streets abuzz with progress, an entire culture adapting to the opportunities of a new age. Laughter comes easy, both for the seasoned locals and the members of our adventurous brood. 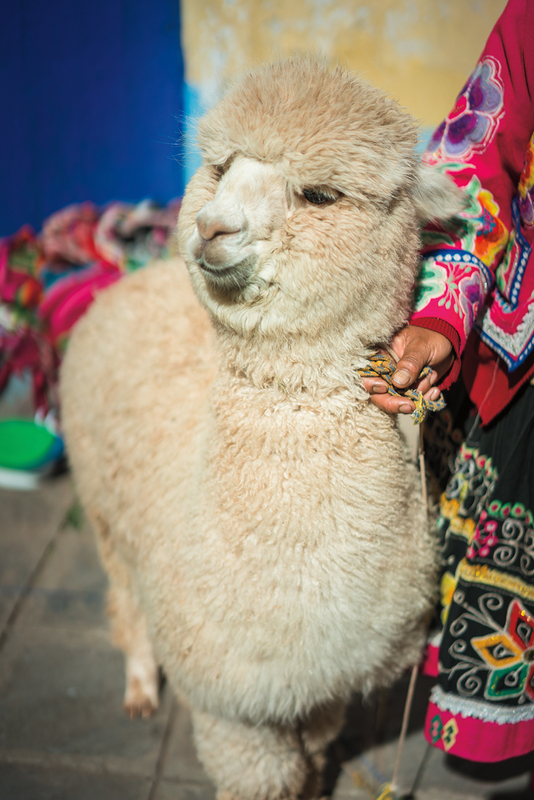 Short and stocky, the alpaca is vaunted for its durability under heavy loads and is prized for its luxurious coat. In the first world, diners are generally disconnected from the food they eat— meals often come to us in stylishly designed packages. In Cusco, there is no confusion on whether your protein of choice swam, ran, or hopped. 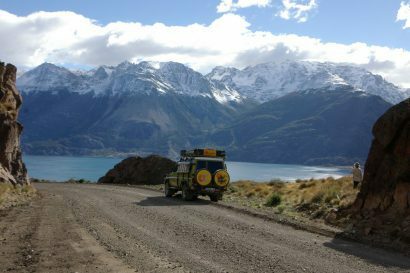 At times, overlanders can be quick to complain about a place not being friendly. This, of course, is assessed from behind a cage of metal and glass, but watch the countenance of your hosts change once you exit the vehicle. How many times has this door been opened? 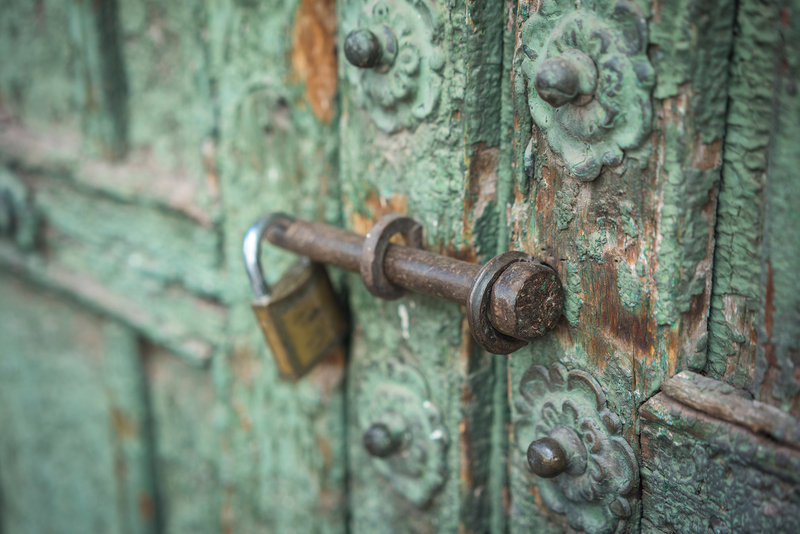 What lies beyond the weathered layers of paint and steel? Curve after glorious curve contours the Andes. 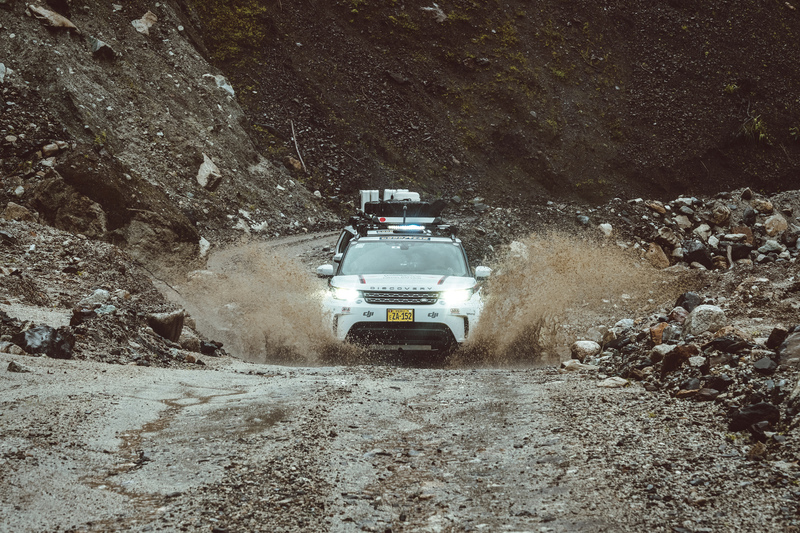 Our convoy first gained and then lost elevation as we reached over 15,000 feet before descending into the jungle below. 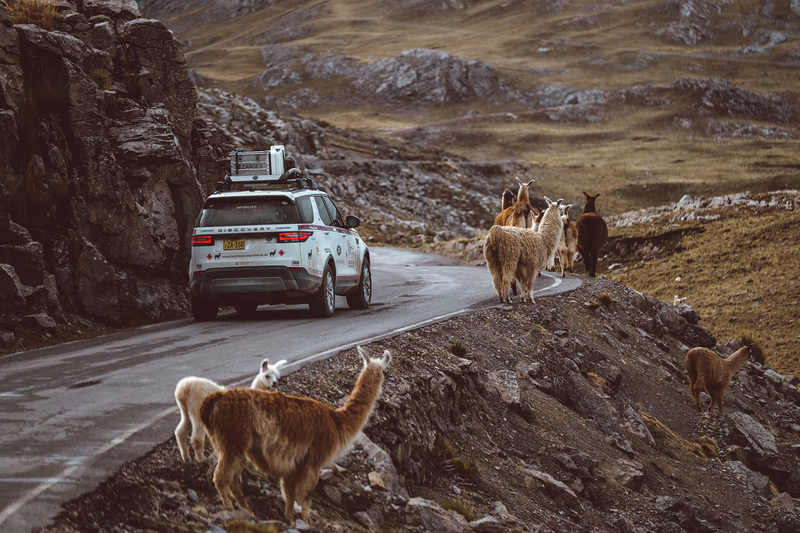 Llamas dot the roadside, the only fauna we encountered at the higher altitudes. Water, water everywhere— the rivers, swollen from recent rains, added to the depth and severity of the fordings.